Within Chisago County you will find other organizations that collect and preserve the rich history of this area. The preservation movement spans a wide range of interests pursued by these groups. While the primary goal is universal, the specific objectives vary among these different organizations. Managing the Swedish Immigrant Log Farm and walking trails. The museum holds replicas of the first church, local creamery, and other historic memorabilia. Hosts the Amador Apple Festival on 3rd Sunday in September. Formed in 1996 to preserve the area's rich history, a non-profit organization of local volunteers who collect, archive and share a growing collection of historical artifacts, media and information about their town and the people who give it character. Helping to manage the historical resources of the Chisago Lake Evangelical Lutheran Church and their Swedish research library at 1 Summit Avenue, Center City, MN. 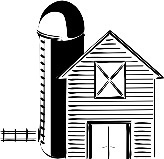 A 501(c)(3) organization and advocate for the preservation of Minnesota barns and farmsteads. F.O.M.B. is an all volunteer organization currently operating with an all volunteer staff of nine Steering Committee members. They are solely supported by membership dues. Managing the Karl Oskar House ("Nya Duvemala") at Ki-Chi-Saga Park, 29061 Glader Blvd, Lindstrom, MN. Open Sundays 1-4 pm, mid-May through September. Call to arrange other dates/times. Monthly meetings are the 1st Tuesday of each month at the Rusheba Town Hall, Rush City or occasionally at the public library in North Branch. Managing the W.H.C. Folsom House in the Angel Hill district of Taylors Fall. Bi-monthly meetings are held at the Taylors Falls Memorial Community Center, a historic Railroad Depot and home of their history museum. Monthly meetings are held at the Giese Public Library, Wyoming, MN. Visit their website for dates and times. these groups share in the ongoing work needed to collect, display, and educate school children and adults regarding the lives and artifacts from the past. On this page you will find the names and contact information for these groups. see more details about each society.